Co-operatives, diverse grassroots initiatives owned by their members, are created to meet a need for goods, housing, banking or other services. The origins of Canadian co-operatives are as diverse as co-ops themselves. In 1861, coal miners in Stellarton, Nova Scotia formed the first co-op store in what was to become Canada. By 1900, farmers in Ontario, Quebec and the Atlantic region had created 1,200 co-operative dairies. 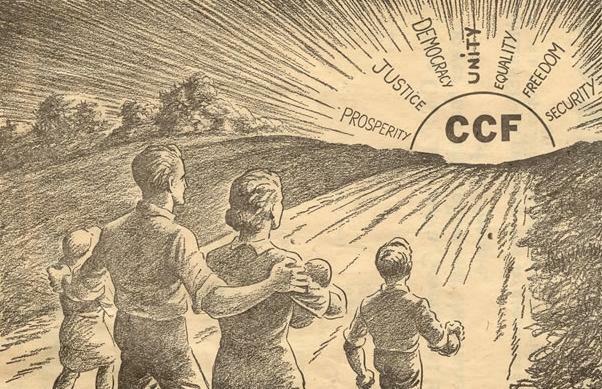 They and thousands of other co-ops are parts of a movement that has brought about social advancements and helped shape Canada’s economic and social identity over the 20th century. We sit down with two veterans of the cooperative movement. In his nineties, Harold Chapman has been advancing cooperatives and their role in the development of Saskatchewan’s economy for many years, sustaining them through cooperative education and initiatives. 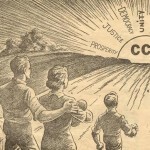 Recipient of numerous accolades for her work with Neechi Foods, President of Neechi Commons, Louise Desmarais Champagne offers a unique perspective on modern day cooperatives and its potential for social change. Neechi Commons is a community business complex designed to support Winnipeg’s Aboriginal community, foster neighbourhood revitalization and to provide economic opportunities for Aboriginal youth and other area residents. It includes a supermarket –Neechi Foods Co-op – as well as a restaurant, bakery, catering services, Aboriginal books, arts, crafts, music and clothing, and a seasonal farmers market. Its arts store, ‘Neechi Niche’ is supporting the livelihoods of over 40 artisans and authors. In this podcast, Author of Sharing My Life, Building the Co-operative Movement, Chapman shares with us his passion for a movement that enveloped his life’s work and its impact on Canadians in the past and still today. In this digital story, president of Neechi Foods Co-Op – Winnipeg’s largest commercial employer of First Nations and Métis people – since its inception 24 years ago, Champagne offers a unique perspective on modern day cooperatives and its potential for social change.